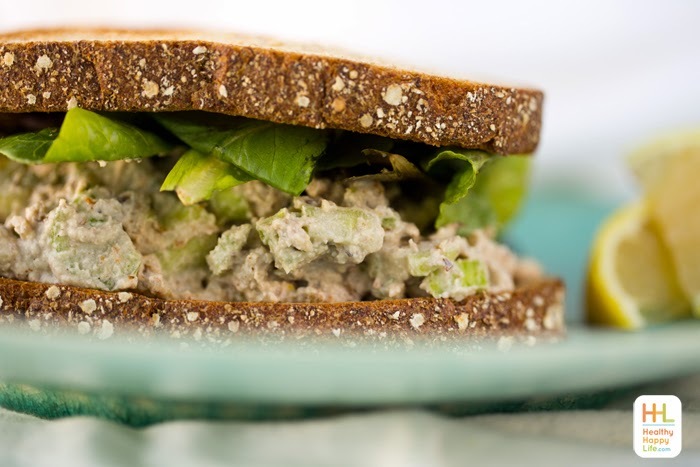 Walnut Salad Sandwich with Crunchy Celery. 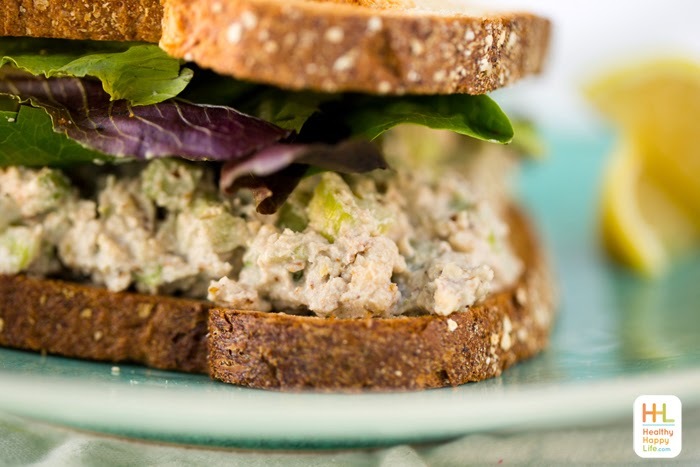 "Vegan Tuna"
One of my favorite go-to sandwiches is my chickpea "tuna" salad sandwich. Well this time I give it a bit of a more decadent spin by using not only chickpeas, but also walnuts as the base. 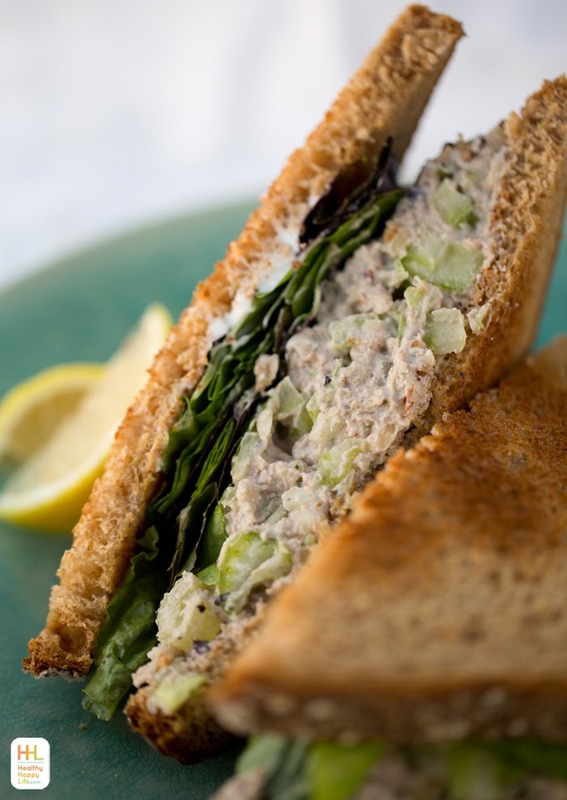 The walnuts add a buttery and rich texture that is simply divine when combined with the lemon-pepper flavor. 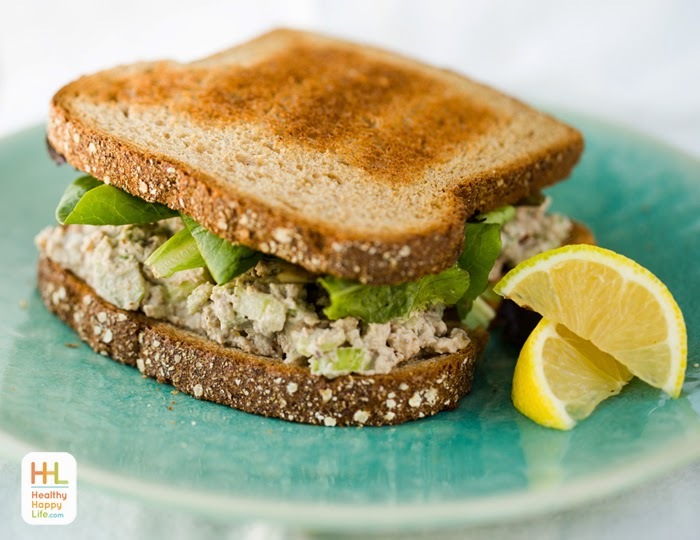 Make this Walnut-Chickpea Salad Sandwich one of your new go-to lunchtime recipes! I also did a new YouTube video for this recipe that I hope you all enjoy! For the video, I put a bit of a fall/holiday spin on this recipe by adding in dried cranberries. That pop of sweet with all the bright and savory flavors is perfect. Get the recipe and watch me make (and eat!) this yummy recipe.. Nutrition. This recipe makes about 4 servings. And each serving contains around 300 calories, 125% RDA iron, over 8g protein, 5g fiber and plenty of healthy fats. Tip: If you want to reduce the fat content you can cut the vegan mayo by half or use a reduced fat version. Or substitute half of the walnuts with lightly smashed chickpeas. This is a great make-ahead recipe! Make it the day before and pop it in the fridge. 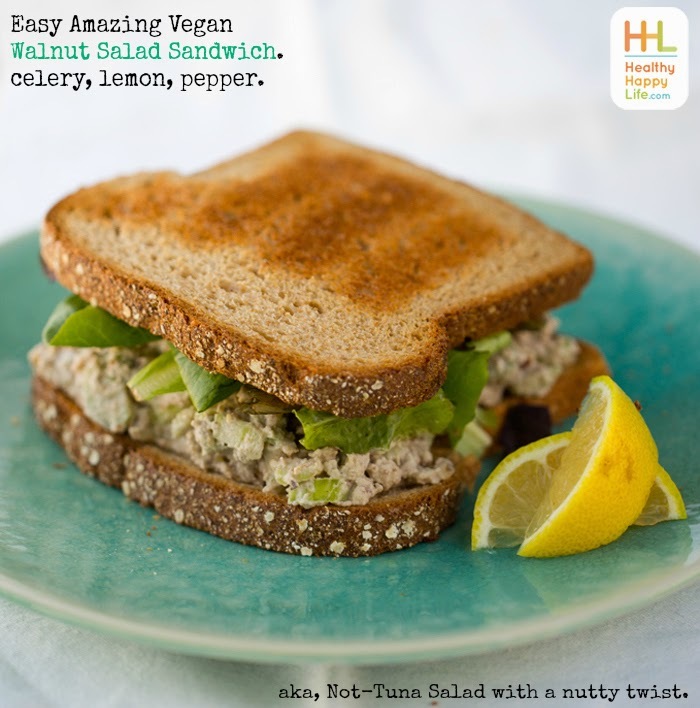 When you are ready to serve it, simply layer it on some toast, serve on top of a salad or eat with crackers or veggie sticks. So many serving options. Lemon-pepper flavor in every bite! * additional spices like cayenne, curry, turmeric and more! Serving suggestions: On a salad. Stuffed inside a raw or roasted bell pepper. As a dip. Inside pita pockets or a wrap. As a sandwich on toasted bread. With crackers as a power-fuel snack! 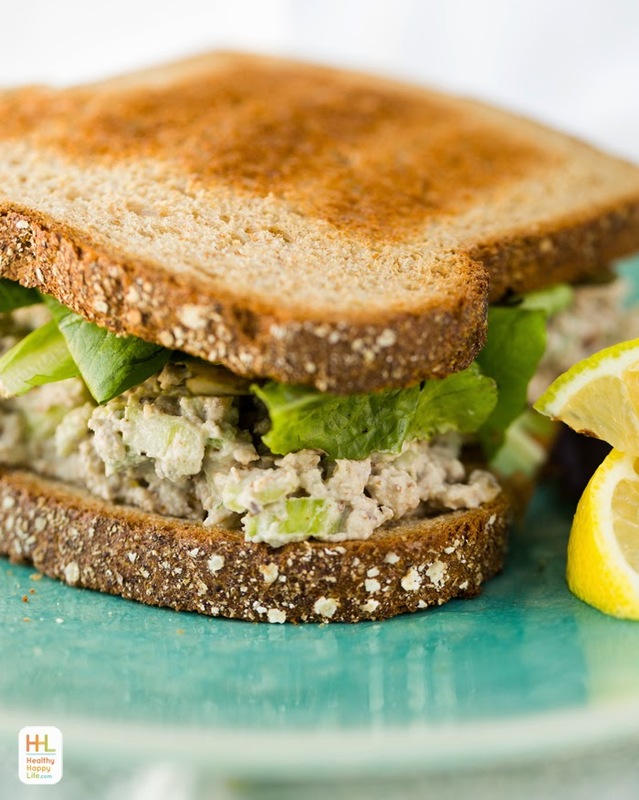 This super easy salad sandwich is a delicious and healthy substitute for fish tuna. 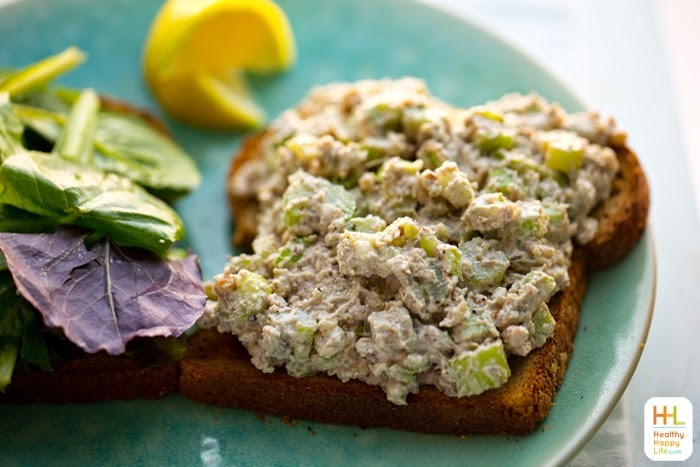 Made using chickpeas and walnuts, this nutty and creamy dish is simply flavored with lemon-pepper and crunchy fresh celery. 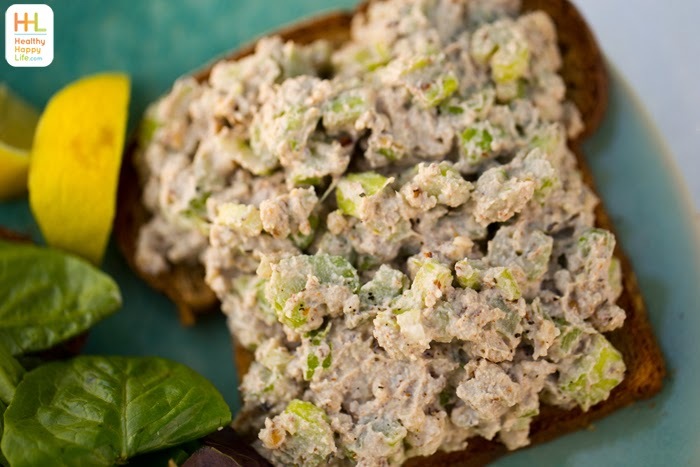 Add walnuts to a blender or food processor and pulse until finely chopped. Pour into a large mixing bowl. Add the chickpeas and lemon to blender and puree until smooth, like a hummus. Fold the chickpea mixture into the walnuts and add spices. Fold in the celery. Add in any optional ingredients. 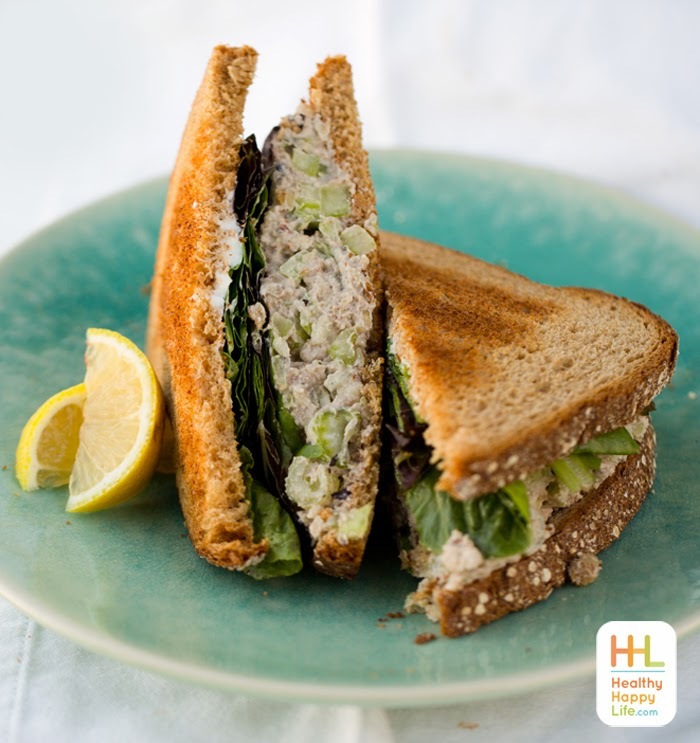 Serve right away or place in the fridge to chill before serving on salads or in sandwiches. Salad will thicken up as it chills.